In this episode, I’m shaking things up and taking my turn in the hot seat. And what better way to do it than with the intelligent, insightful questioning of the brilliant Jay Abraham! On the off chance that you haven’t already heard of him, Jay is a legend in the marketing world. In fact, he’s known as the godfather of marketing. He’s the CEO and founder of the Abraham Group, and has written two books: Getting Everything You Can Out of All You’ve Got and The Sticking Point Solution. It’s fitting -- and only fair -- that Jay gets a turn to ask me questions, since he was the guest on one of my earliest Marketing Speak episodes. Once you’ve finished listening to this episode, go listen to that one too so you can hear his brilliant take on things. 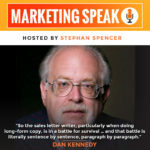 In this episode, I had the pleasure of talking with the brilliant Dan Kennedy, the godfather of direct marketing. Dan has shared stages with other luminaries like Tony Robbins and Zig Ziglar. He's worked as a marketing advisor and consultant to business owners and CEOs of businesses ranging in size up to $1 billion. He reached this professional pinnacle by the depth of his knowledge of marketing, which he generously shares in this conversation. Becoming an expert content marketer takes trial and error, but you’ll start seeing progress by understanding your audience and adding value. Brian Clark knows how to get serious reach. He’s the chief blogger at Copyblogger, and he built it from a one-man operation into a massive revenue funnel with over 200,000 customers. Brian shares his advice on how to successfully grow a business through online marketing, killer content, and attracting the right people to your website. The Marketing and SEO industry is growing, but tasks that should be simple can still take a huge amount of time. As a professional, your time is valuable, and Rand Fishkin, “The Wizard of Moz”, has created systems and tools that allow every busy SEO or marketing expert to create incredible results with tools that can do it all. Rand shares how he came up with and created Moz programs, his favorite automation and SEO tools, and how to keep up in the ever-evolving landscape of SEO. 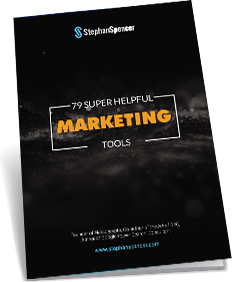 Useful tools to take your marketing skills to the next level today! Imagine buying a failing company for $2 and not just turning it around in a couple months, but growing it to the point where you have offices in San Francisco, LA and New York and an impressive client list that includes companies like Lyft, Intuit and more. That's the remarkable story of Single Grain, the agency owned by my guest, Eric Siu. He is an SEO consultant and entrepreneur who has developed growth strategies for dozens of noted brands. 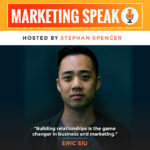 He also cohosts the Marketing School podcast with Neil Patel, who has also been on the show twice. Eric is the creator of ClickFlow, a CDN or proxy server for SEO. It's an unusual idea and similar to GravityStream, an optimization platform that I had developed way back in 2003 and it got sold with my agency Netconcepts in 2010. 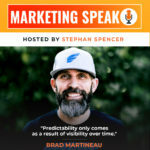 In this interview, we'll be talking about the secret behind creating a more powerful connection with your customers, how to harness multichannel marketing and the process behind turning your website into an evergreen traffic machine. Since Eric is a prominent speaker and podcaster, he'll also be providing some valuable tips on creating a personal brand and building an audience for your podcast. The great wave of automation is coming, whether you like it or not. Eventually, all of our jobs are going to be replaced by AIs and robots but in the meantime, you have an opportunity to leverage automation throughout your business and in your marketing. You have two options: ignore automation at your peril or embrace the opportunity and adapt quickly. My guest hasn't just embraced marketing automation. He's made it his business to help others use automation to their advantage. I'm talking about Brad Martineau, Cofounder and CEO of SixthDivision. In this episode, you'll be getting some real insight into how to incorporate automation into your marketing strategy and even your overall business strategy. You'll also be getting some power tips on using Infusionsoft and how to build an effective customer journey that gets results. If you're serious about leveling up your business, stick around as Brad reveals the secrets to doing automation right. If there's one thing we could all use more of, it’s leads. Not just any leads, mind you, I'm talking about quality leads. Qualified leads who know exactly what's up and understand the value of your offer. If there's one man who has turned lead generation into a science, it's Tom Poland. He even has a name for it, Leadsology. If you're skeptical, remember that Tom has founded and sold many multimillion-dollar businesses himself. He even wrote a book where he explains how to do it. 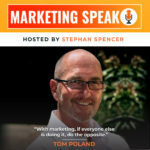 If you're looking to crack the code on lead generation for your business, then you want to hear what Tom has to say. This episode is all about the nuts and bolts of attracting and qualifying leads and more importantly, how to create replicable and delegatable processes that work. In other words, a scientific approach to lead generation. Keep tuned in because it's time to stop messing about with random marketing experiments and create a system for bringing the right people straight to your sales page. If you run an online business, you know that it can be tough to keep the revenue flowing. There's so much competition out there these days, you've got to stay ahead of the curve. That's exactly what our guest, serial entrepreneur, Ken Courtright, does so well. His company, Income Store, operates about 1,000 revenue generating websites and the portfolio expands every year. The company has been in the Inc. 5000 list for the past four years consecutively, which is no small feat. Ken has not only achieved success, but he also systematized it. Stay tuned to learn his secret formula for massive growth and scaling online success. This episode is absolutely a must-listen for anyone interested in online marketing or entrepreneurship. Get ready for some truly game-changing insights. People don't usually mention hip-hop and SEO in the same breath. My guest is not only an entrepreneur, digital marketer and SEO engineer but also an independent musician who began his career as a hip-hop artist. He's also been able to leverage his skills as a rapper to become an innovative and original speaker at marketing conferences around the world. Mike King is the Founder of digital marketing agency iPullRank. He's a veteran of multinational agencies like Publicis Modem and Razorfish. He's also the proud new owner of UndergroundHipHop.com, a highly respected twenty-year-old music blog. On this episode, we will be geeking out on SEO covering everything from Latent Semantic indexing or LSI to Markov models to term frequency and more. 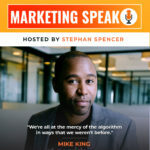 Also, you will want to read all the way to the end of this episode as Mike will be revealing some of his favorite SEO resources. 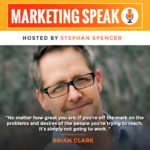 Marketing Speak is a podcast in which thought leaders and professional speakers weigh in on important marketing-related issues. 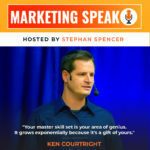 Stephan has been a feature in the​ ​Internet Marketing conference circuit since 1995. He has spoken at hundreds of events including Shop.org, Internet Retailer, and Tony Robbins​' ​Business Mastery. If you’d like to contact Stephan for a speaking engagement, please send a message through our contact form.